You have your team, your caving gear, your equipment. You’re all set to descend into a previously unexplored cave – the find of a lifetime. 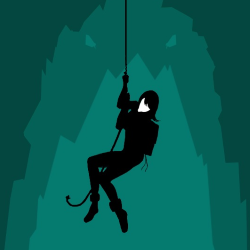 But as you abseil down you hear the rumble of a cave-in, and that’s the last thing you remember. Dolores and the Cave is a ten-minute horror game with nine different endings to explore. The Shootout is an Old West adventure with an animated comic strip and the reader’s choice of ending. A narrator leads us through the story and, when he falters in his narrative, is prompted by the reader (via touch or mouse click) to continue. 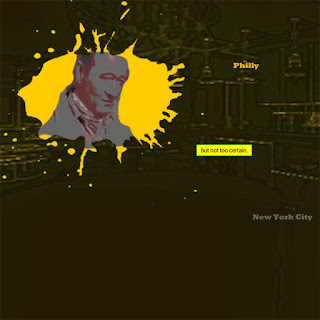 An audio track is included which echoes and accentuates the action on each page. End user interactivity in this work is a combination of swipes (or use of the space bar or arrows on a keyboard) with various opportunities for touch (on a tablet or phone) or mouse click (on a desktop or laptop). The piece includes a reader’s choice of ending which is selected through touch or mouse click. 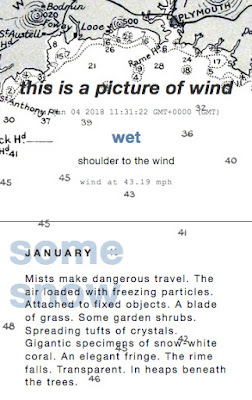 This is a Picture of Wind expands upon a series of short texts written in response to the winter storms which battered South West England in early 2014, resulting in catastrophic flooding in Somerset and the destruction of the seawall and rail line at Dawlish in Devon. Following the news in the months after these storms, I was struck by the paradox presented by attempts to evoke through the materiality of language a force such as wind which we can only see indirectly through its affect. I began to explore weather in all its written forms. Part poetic almanac, part private weather diary, and part live wind report for the South West of England, this work attempts to call attention to climate change by picturing through variations in language the disturbances and sudden absences left in the wake of wind. This work is designed to be read on phones but also works on computers. It calls on live wind data, so it will look different every time you view it. A new text will be added for each month of 2018. A text about this work written by Johanna Drucker will be published in March 2018. To teach and have fun at the same time, St. Ives introduces the traditional English poem “I was going to St. Ives”, transforming the lullaby, with cute and fun characters: one man, seven women and cats, a lot of cats! This song is also known as a puzzle and encourages children to use logic concepts and deduction skills to discover how many people were truly going to St Ives. 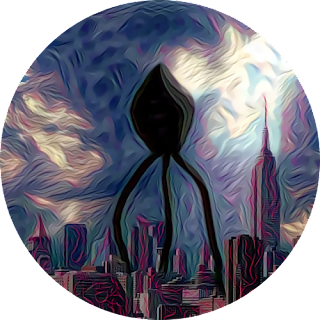 War of the Worlds 2017 is an examination of the modern US political climate through the lens of the classic Wells novel. When cylinders from an alien world set up shop on a defenseless Earth, Carrie, a shy art student, must make the perilous trek across a Martian-controlled New York to try and reach her brilliant girlfriend, trapped in a bunker underneath her NYC school. WoTW2017 explores the all-too-familiar feeling of a news cycle out of control and the pressing concern that the people who have, against all odds, planted themselves in charge of world affairs might be both malevolent and unprepared for their responsibility. It also tries to be compelling science fiction on its own, adapting and modernizing Wells’ work where necessary while keeping true to the spirit and the imagery of the original. 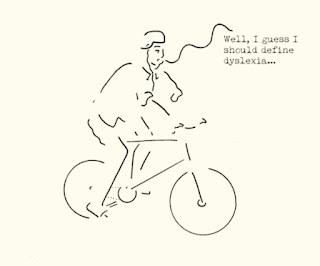 This web comic works to explain dyslexia while attempting, to re-create the feeling of experiencing it. To read with pleasure and for those who enjoy reading. 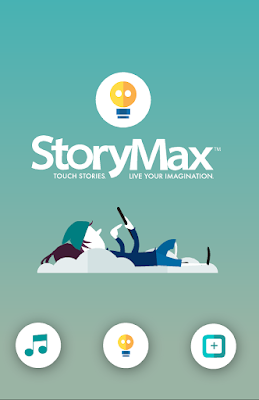 With this motto, the awarded publisher StoryMax launches this app that brings together all their stories already published (for free and paid) and starts a new journey. StoryMax’s app books retell classics, popular narratives and poems with original texts and adaptations, sound effects, narration and interactivity in the right amount to engage children and young people who love to be immersed in experiences that start at their favorite devices: tablets and smartphones. Inanimate Alice tells the story of a girl growing up dreaming of becoming a game designer one day. 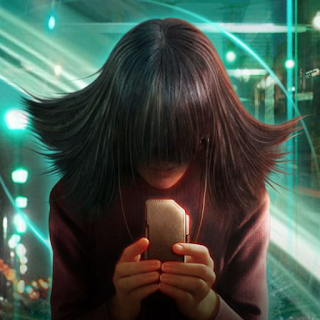 Uniquely, it is a tale of progressive complexity, each episode reflecting Alice’s age and digital competency as she grows up. In Perpetual Nomads, Alice is stuck on a broken down Autobus and finding herself alone in the middle of the desert with a rapidly dying phone battery, what’s Alice supposed to do? Who can Alice trust to help her charge her phone, fix the AutoBus and get her on her way back home? The 2018 Opening Up Digital Fiction Shortlist Is Open for Voting! The shortlist has been posted, and the voting is open until 30 July 2018 for the People’s Choice award for the 2018 Opening Up Digital Fiction Writing Competition. Go have a read of some great digital fiction, then let us know which one you think deserves the top spot. Share far and wide – everyone deserves good digital fiction! I’m so happy that Astrid Ensslin, Bronwen Thomas, and Eben Muse (well, and me) are all returning to judge this year’s Opening Up competition. We had such a great experience last year, and I hope that we can top it this year with even more works of popular/mainstream-appeal digital fiction. As I stumbled on promotions in December (thanks to two grant applications…the grub-work is never done! ), I’ve extended the submission deadline to 15 March 2018. That gives everyone an extra month to make some awesome interactive stories! We’re changing up the way judging happens a little bit this year, now that we have some great digital creators in our “academy”. Creators who have been previously shortlisted in the competition will be invited to review the submitted works this year, and offer their own shortlists for each category. This will make up the shortlist for the competition, and the judges will choose the finalists. We wanted our creators to have more voice (outside the People’s Choice) category. So get ready for a great Spring season full of fantastic new works of digital fiction!